I have always been rather skeptical about the use of 360 pictures, of course there are areas where it makes sense. Real estate for example, this is a great use case for 360 pics and video, being able to look around or walk around a house and see all around you not only on your phone but also in VR can really bring 360 into its element. Now I have access to a camera however I have to say I am very impressed with the quality and experience it gives to relive a moment in time via picture or video, it really does capture the all round experience and when viewed through VR it gives a sense of being in that place and being able to be in an area and experience it with full perception of the environment and with spatial sound you can also hear the different perspectives as you look around. 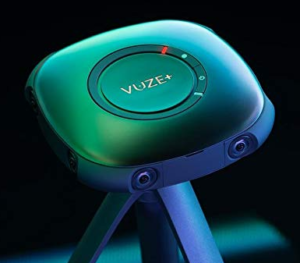 Taking a photo with the Vuze is very easy, just hook into their wifi access point on the camera and use the mobile phone software to take a picture or video, couldn’t be easier! Once you have the picture or video there is then some post processing that needs to take place, the camera tries to do a good job of stitching the individual views together but its not quite there by default. The Vuze come with some great software that make this very easy, it allows you to download the photo and then with the press of a couple of buttons you can adjust the “stitching” and color levels, replace the image at the bottom of the picture (to remove any trace of the camera or tripod) and render the image or video to a given format. Super Easy! I do however wish there was some kind of bulk mode for this as doing it for 20 or 30 images and videos can get tedious! For the videos I also wanted to upload them to Youtube, again the ecosystem is not 100% mature as you need to attach metadata to each video file in order for the Youtube processing engine to work our that its a 360 video and what type it is so that it can render it correctly, the instructions were fairly straight forward but again its another post processing task that needs to be done and then each video needs to be uploaded. Even when uploaded, if I view it on my Oculus Go something strange is going on with the resolution as it becomes very very pixelated! The Vuze camera is very impressive and compared to others on the market it is feature packed compared to other cameras at a similar price. 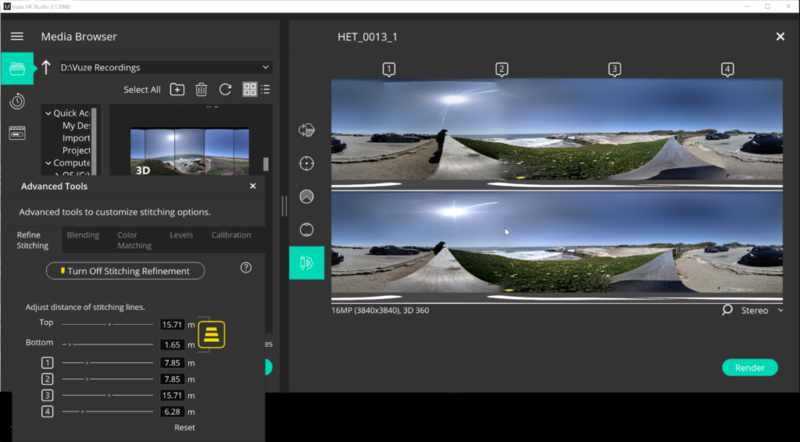 As I mentioned a few times, you still need to do a bunch of post processing to get the pictures and videos looking good, in the right format and working well with the devices you want to show them on. I’m hoping the VR/AR and 360 ecosystem will mature and more integration will be added in the future. So with all that said, you can see the content I shot over this weekend of some nice areas about 20 mins from my house in Santa Cruz and also some I took of the VMware Campus at the following links, let me know what you think! You can also access these from the XR (AR/VR/MR) menu at the top right of my blog.